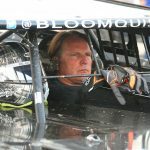 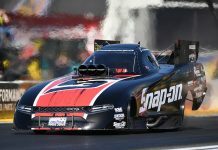 National Dirt Late Model Hall of Famer Scott Bloomquist is currently hospitalized after being injured in a motorcycle accident earlier this week. 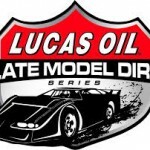 A Sunday evening forecast with chances of rain near 100 percent has forced Lucas Oil Late Model Dirt Series officials to cancel the second annual Rumble by the River. 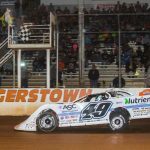 Jonathan Davenport became the first repeat winner in Lucas Oil Late Model Dirt Series-sanctioned events at Hagerstown Speedway on Saturday night. 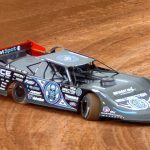 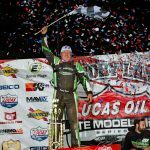 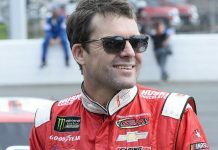 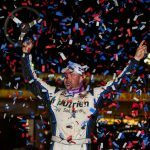 Jonathan Davenport conquered the Lucas Oil Late Model Dirt Series' return to North Georgia Speedway on Saturday night. 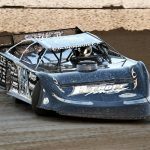 The 90th anniversary season opener at Sharon Speedway will have to wait as heavy afternoon rain on Friday forced the Lucas Oil Late Model Dirt Series and RUSH Sportsman Modified event to be cancelled. 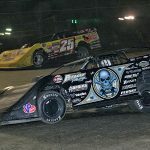 Jimmy Owens recovered from mechanical issues early on Thursday night to win the fifth annual Buckeye Spring 50 at Atomic Speedway. 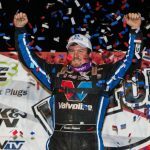 Brandon Sheppard denied Devin Moran his first Lucas Oil Late Model Dirt Series win of the season on Saturday night at Brownstown Speedway.